Be it a verdant garden, a spacious patio, or a balcony with a view, every home will have a window to the world outside. 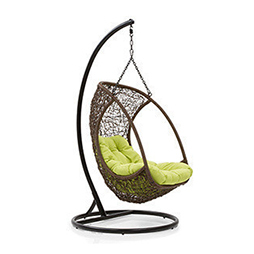 And we have balcony furniture online for every kind of space! Deck chairs, sun loungers, swings, tea tables... explore a gamut of garden furniture online, right here. Make the most of your porch area with captivating patio tables. Customise the look of your balcony with gorgeous coffee or round tables and sturdy foldable tables in various frames and colour options. Metal framed tables with grained wood top will result in creating a bewitching ambience. 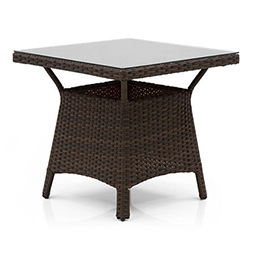 Add a touch of sophistication to your coffee session with Calabah patio table. Upholstered with weather-resistant fabric, these foldable tables are compact, portable, and long lasting. Sweeten your visuals with high quality finish of teak, or mahogany on durable sheesham wood. Make a style statement with balcony table and chair sets on your stoop. Seats in these sets are contoured to offer ultimate comfort. If identical sets are not up your liking, then mix and match patio chairs and tables for a tranquil retreat on your portico. Swim through your deep thoughts or just grab some fresh air while sitting on deep-set patio armchair. 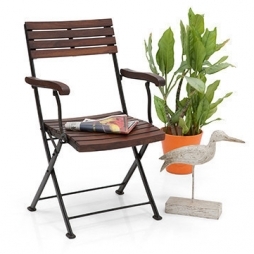 Get your foldable chairs according to your patio decor or whatever suits your tastes in attractive natural finish. From lively shades of sunshine yellows to coral blues, choose a colour for your outdoor setting to add a touch of cheerfulness. With a hint of exotic décor, throw in add-ons like throw pillows, cushions, and fancy lighting to your setting with Urban Ladder furniture. Lounge around on folding chairs by the pool for the ultimate relaxation treat. Buy authentic Urban Ladder patio tables and hoard tones of compliments from your friends.